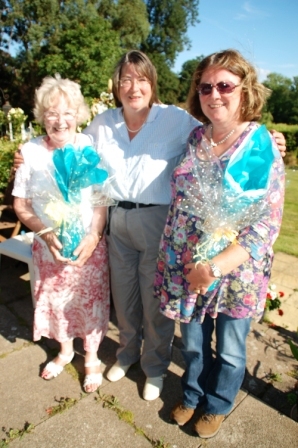 Congratulations to Charmain Short who has won a free evening spa experience at Ragdale Hall Spa for two worth £120. Sorry if you did not win, but you could consider purchasing a Ragdale Hall gift voucher available in monetary amounts from £25 or for days or overnight breaks, they are an ideal gift. Stanford Hall Rehabilitation Centre 2017 – the winner of the prize at the Military Wives Concert, at Fairfield School, for the fund raising was Mrs Whitfield. She brought a group of eight guests complete with picnic and had a splendid time with a tour and wine tasting. We never seemed to stop laughing. Beacon Magazine October 2016 Competition to win a vineyard tour and bottle of King Richard wine. 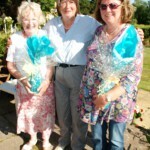 See https://issuu.com/thebeaconleic/docs/beacon_i73_issuu/80 Faye from Rothley was the lucky winner of the prize. Charity Auction July 2016 David from Leicester won the bid for this worthy event which raised funds for a local charity in aid of poverty. He will be taking up the prize of a vineyard tour, wine tasting and mystery gift, in the Spring when the sun is shining. The fortunate winner is “Caroline Clarke” For more information see extremehousewife.blogspot.co.uk/2016/12/winner… #WINNER Well done Caroline and we just know that you will adore your prize. Sorry for those who did not win, but keep alert for future competitions. Beacon Magazine May 2015 Competition x 2. Sue from Leicester and Helen from Quorn came with their respective friends for a vineyard tour and wine tasting. They brought some lovely sunshine with them! After a leisurely stroll the vineyard, accompanied by two hens, they were shown the winery and the wine making process explained. Then a short walk to the terrace for a wine tasting of our two sparkling and two still wines. Finally the two mystery gifts were given, at which point the hens arrived to bolster the size of the audience.